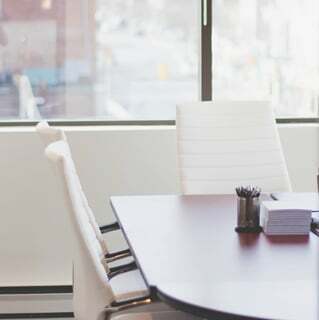 We provide modern and neutral meeting rooms for arbitrations in Whitby, Ontario that also service surrounding areas such as Pickering, Ajax, Oshawa and Clarington. Arbitrations are becoming a very important and popular part of the legal process. They can also be long and difficult for all parties involved. Our goal is to provide you and your client with the best possible experience using our meeting rooms and court reporting services. Our facilities consist of three modern and well-equipped boardrooms with seating for ten, eight, or six people. We also offer full catering for the proceedings, as well as break out areas where you and your clients can discuss matters confidentially. 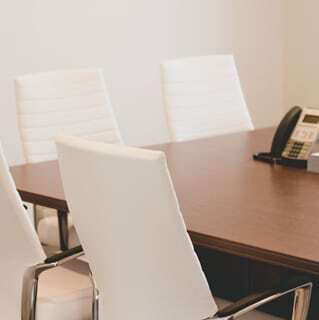 Be sure to book your next meeting room for arbitration with On The Record – conveniently located in Whitby, Ontario – and have peace of mind. 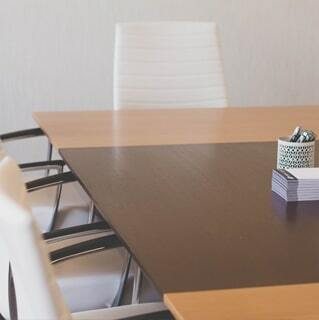 Our meeting rooms in Barrie as with our Whitby location are newly furnished and provide a comfortable setting for your arbitration. Many lawyers, mediators and arbitrators bring in their clients from Barrie and surrounding areas like Orillia, Gravenhurst, Bracebridge, Wasaga Beach and Collingwood. Court reporters are available should you require reporting services. We also provide complimentary beverages and onsite catering is available upon request. Come and visit our Barrie Office or book your next arbitration room with On The Record Court Reporting.